Cooper Landing is a special place for Xiunell and Spencer. At our consult meeting, they gushed about its beauty and the times spent hiking and fishing in the area (and in Spencer's case, getting charged by a brown bear!). 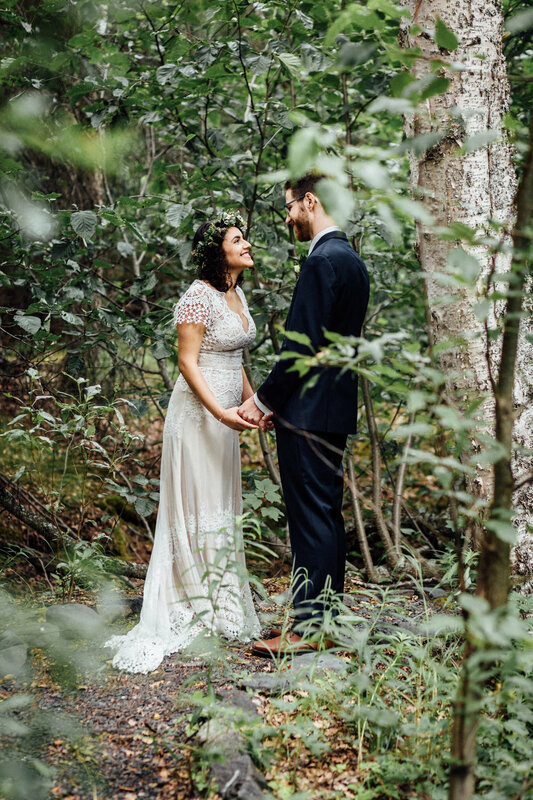 So getting married in a tiny log cabin church tucked into the wilderness, followed by a reception at a nearby log cabin lodge was not only as beautiful and Alaskan as it comes, but so perfectly them. Thank you, Xiunell and Spencer, for introducing me to your happy place - I can't wait to get back to Cooper Landing and explore some more.